Watch the highlights from our 50th anniversary Summit! Every year Salon Resource Group holds a team building retreat where all associates have the opportunity to hear world class industry speakers, celebrate special achievements, and celebrate with colleagues. It’s our highlight event of year! In 1994, Peter Mahoney embarked on the next phase of our journey. With a passion for improving the quality of life within the beauty industry, and a vision to take the company to the next level of service excellence. Mahoney committed himself to the re-innovation of the organizational structure and began truly operating from the “inside out” – responding to the needs of the people and the desires of the clients. Empowering the associates with entrepreneurial spirit, we created an organizational value system from which all company goals and visions now flow: P.R.I.D.E. 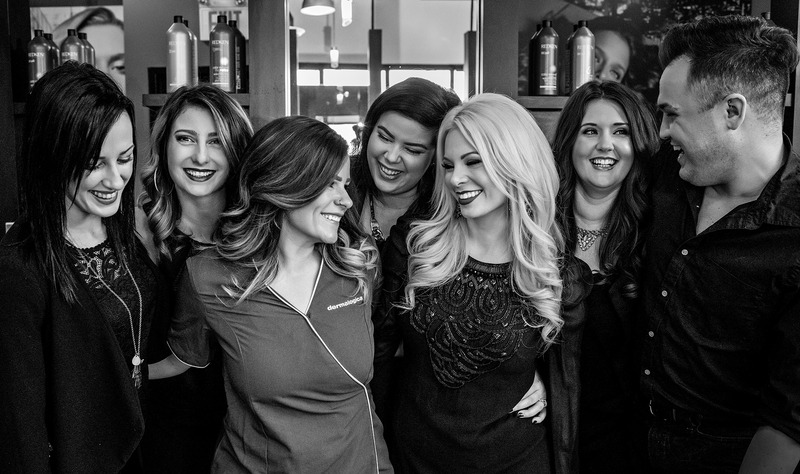 These innovative concepts in salon leadership proved so successful, in fact, that in 1998, a sister company, Salon Consultants International Inc. was created to meet the industry demand to share the secret of Salon Resource Group’s success. Leadership – Salon Resource Group has a great respect for the importance of growing people and developing leaders. We provide a Mentorship Program for new service providers where they work with a more senior service provider for the first few months of their employment. This helps new associates feel more comfortable in their role and helps them to build confidence. Simultaneously, the Mentorship Program provides the senior service provider the opportunity to share some of their skills and knowledge. We have a Career Path Guide for our associates outlining a path and timeline to achieve career goals. It also defines educational requirements along the way. There are many opportunities within our industry and we believe in educating our associates to prepare themselves so when opportunities arise they are ready. Personal Development Meetings – To ensure we stay on track with the personal development goals of our associates, we have monthly one-on-one meetings to review how they are doing and what we can do to help. This may involve recommending educational programs and always involve some motivation and encouragement. Educational classes for all segments of our business. World class guest speakers and platform artists. Social Events – Theme Party etc.